The Le Col clothing company was founded by pro rider Yanto Barker. It has surged ahead this year and is now expanding as some of its rivals need to cut costs. Its clothing range and advertising campaign with Bradley Wiggins have proved very successful. The cycling clothing brand founded by former pro rider Yanto Barker, Le Col, has raised £2.35 million from an investor and is now valued at over £8 million. While already very successful before this year, it’s fortunes have surged ahead after partnering with Bradley Wiggins. 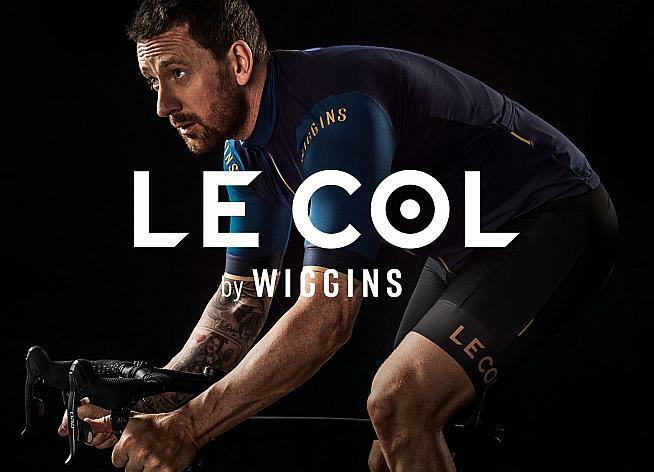 Le Col has produced a line of clothing with Wiggins. And the 2012 Tour de France winner has also been the face of the company. Bradley Wiggins has featured Le Col’s main advertising campaign on Eurosport’s coverage of cycling. As well as the ‘Le Col by Wiggins’ range, Team Wiggins also switched from Rapha to Le Col for its team kit this season. The Le Col company has now entered into a new commercial arrangement with Puma Private Equity. The company has received £2.35 million in funding, which will increase to £3.5 million. And that puts its valuation at £8.2 million. Le Col had already raised £1 million through crowd funding last year. It is based in London but produces all of its kit in a factory it owns in Treviso in northern Italy. The company is expanding at a time when its rivals Rapha are scaling back to cut costs. 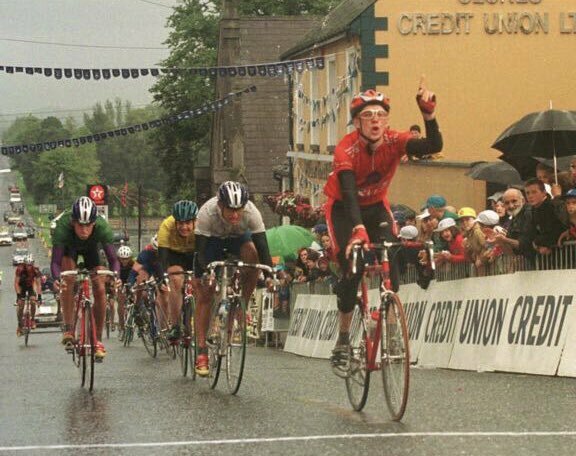 Bradley Wiggins wins a stage of the Junior Tour of Ireland 20 years ago from Yanto Barker. Barker founded the company in 2011 and its success since then has been meteoric. He stopped racing in 2016 and has run Le Col full-time since then. UK-based Puma Private Equity is part of Puma Investments. It funds, and helps accelerate the growth, of promising small to medium sized enterprises. Le Col’s revenue’s are set to treble this year, with online sales on course in increase seven-fold. The company hired for Sky marketing director Simon Creasey last year. Its increased focus on marketing and e-commerce since then has paid off. “We are delighted to welcome Puma Private Equity on board,” Yanto Barker said of the funding and strategic assistance from the new investor. “Their support will be key in facilitating the next phase of Le Col’s growth. The gains we’ve made in 2018 have been exceptional. Tommy O’Sullivan, managing director at Puma Private Equity, joins the Le Col board as part of the new deal. And he said he was delighted with the move. “Guided by Yanto’s performance insight, design expertise and drive for perfection, Le Col is becoming the go-to brand for cyclists looking for the best kit,” he said.